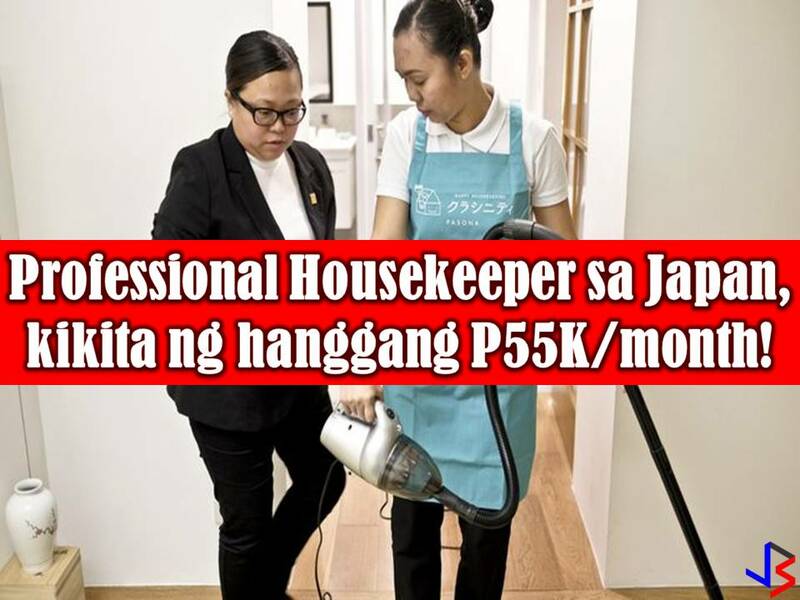 Japan is one of the countries many Filipinos yearn to work for. The country is also looking for many Filipino workers every month. But before getting excited, make sure you are dealing with a licensed recruitment agency so that you won't be a victim of human trafficking or illegal recruitment. 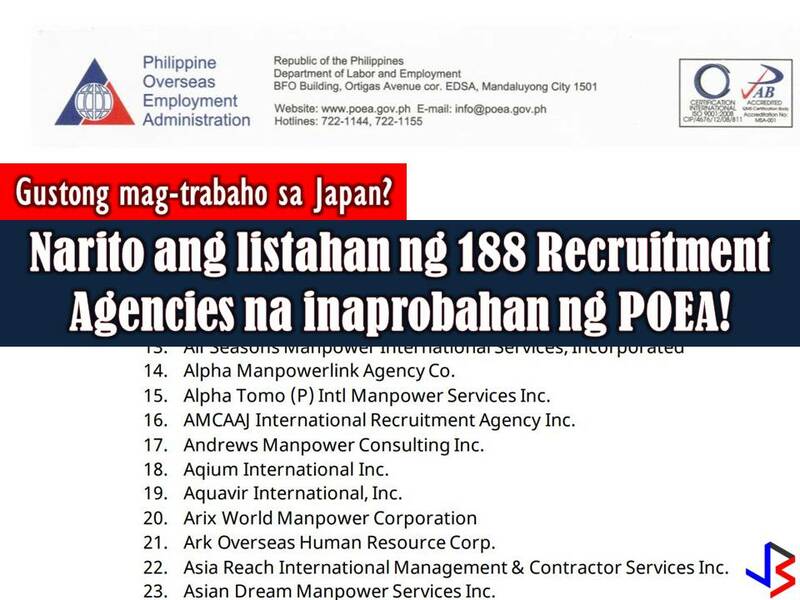 For those who want to learn and earn in Japan as technical inter trainee, the Philippine Overseas Employment Administration (POEA) listed 188 Licensed Recruitment Agencies as qualified sending organization for Japan Technical Intern Training Program (TITP). This is an initiative that provides training for a specific period in industrial society to both youth and adult workers from all countries. The purpose of this program is to transfer Skills to Technical Intern Trainees who will form a basis of economic development in their respective countries and play an important role in Japan's international cooperation and contribution. Here is the list of 188 Licensed Recruitment Agencies qualified as Sending Organization for Japan's TITP. 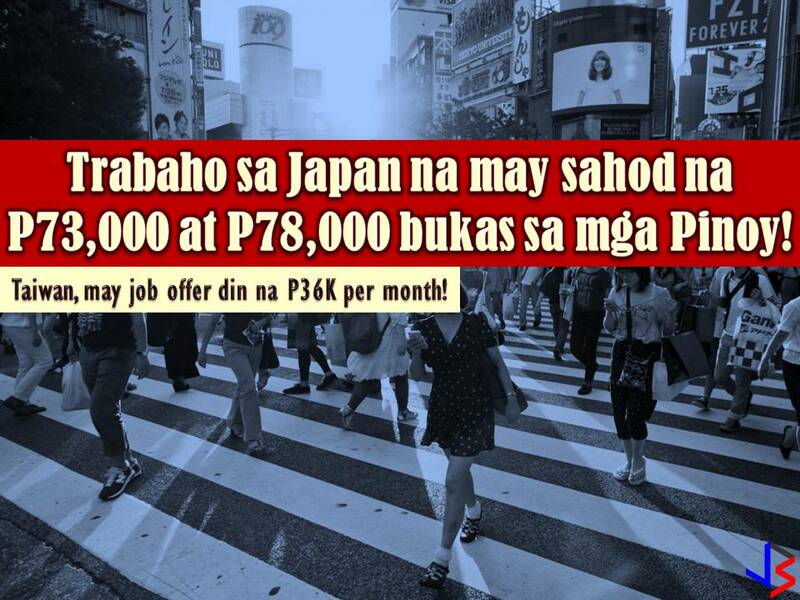 Read: P73,000-P78,000 Salary per Month for Filipinos Who Are Willing to Work In Japan!